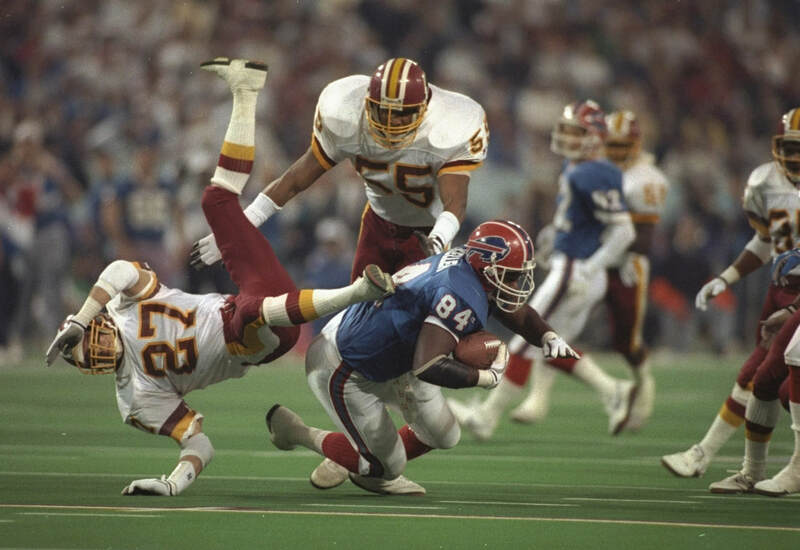 ​​​​In the freezing climate of Minneapolis, the Buffalo Bills made their second straight trip to the big game only to run into the powerhouse that was the Washington Redskins. 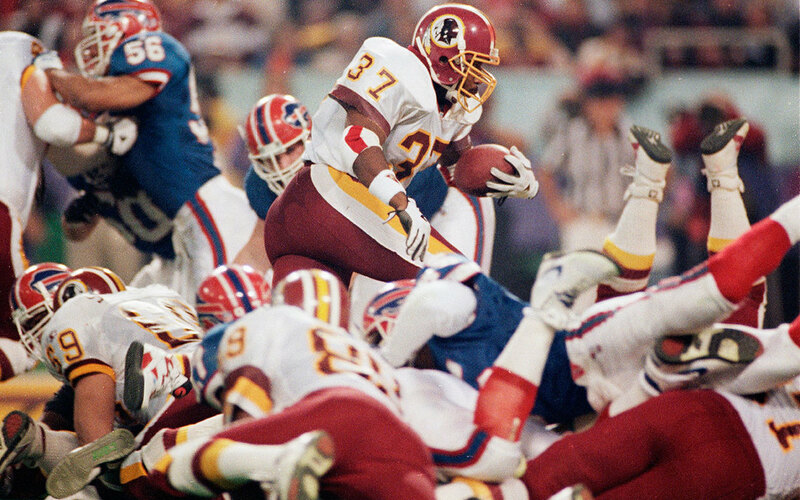 After a scoreless opening period, the floodgates opened in a hurry, as the Redskins' defense smothered the usually high-powered Buffalo attack, while the Redskins' bruising running attack rumbled over the the Bills' twenty-seventh ranked defense on their way to a 17-0 halftime lead off the back of touchdown runs from Ernst Byner and Gerald Riggs and a field goal from Chip Lohmiller. 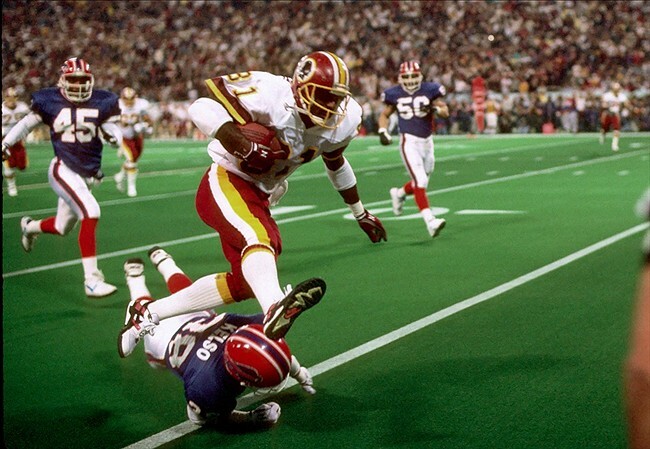 Shortly after the halftime break, the Redskins' lead was stretched to 24-0 following an interception of Jim Kelly being turned into another Gerald Riggs touchdown run. 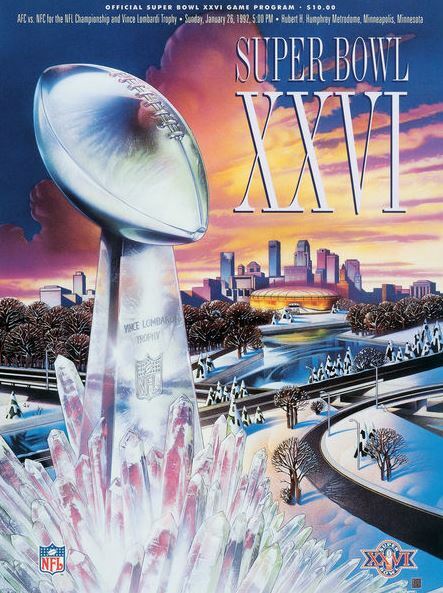 The Bills did manage to pull ten point back making the score 24-10 late in the third period, before eventual MVP, Mark Rypien connected with wide receiver, Gary Clark for a 30-yard scoring strike, effectively putting the contest out of the Bills' reach. 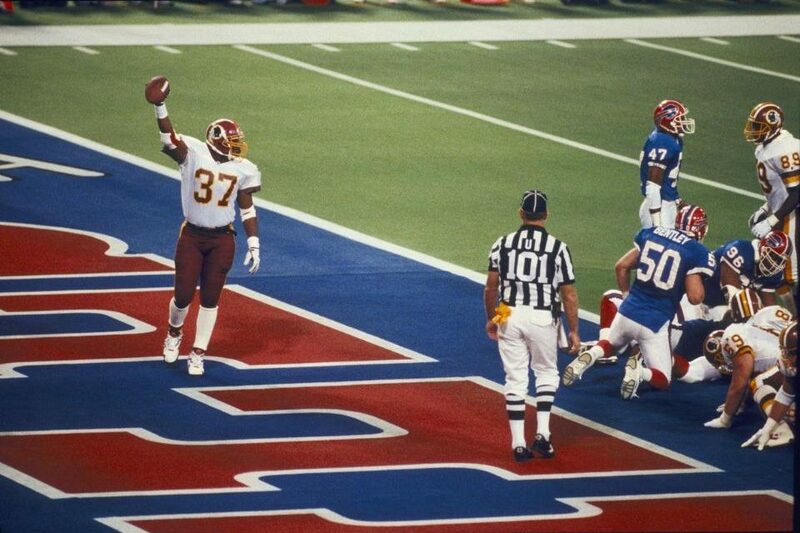 Despite two late scores from the Buffalo Bills, the final tally read 37-24 in the Redskins' favor. The victory was their third in a decade under head coach, Joe Gibbs. 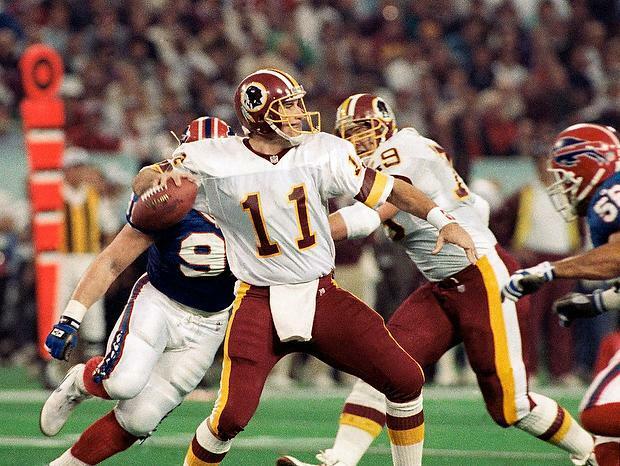 Super Bowl XXVI had a bizarre start in several ways. 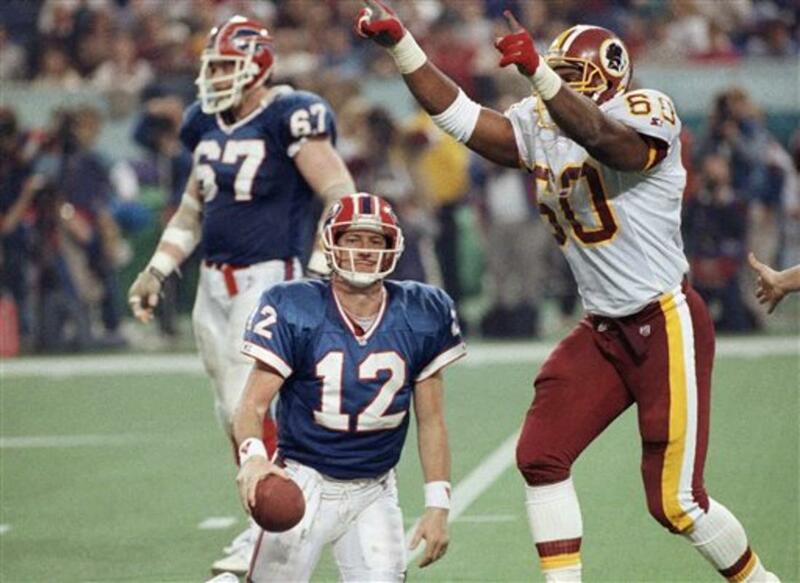 To begin with, the kick-off was called back due to the Bills beginning the game before the official's whistle to play. 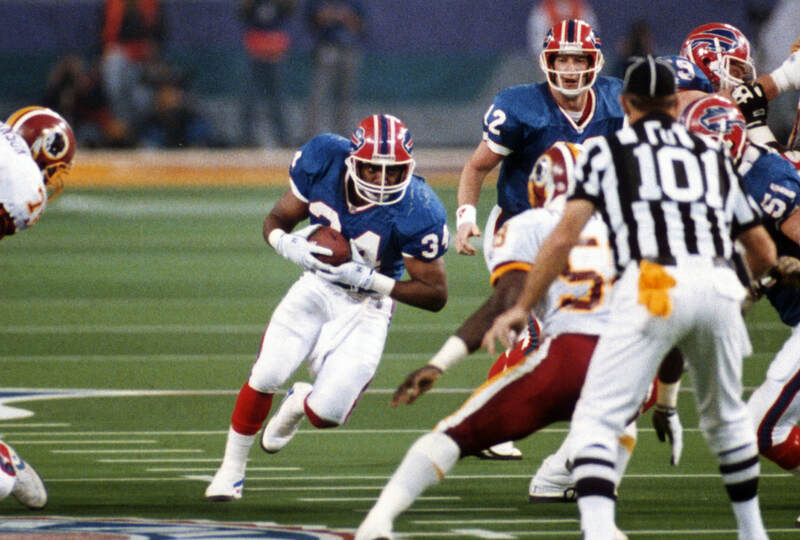 When the game did begin, Buffalo running back, Thurman Thomas was not in the Bills' starting line-up. After several plays, the star runner trotted on to the field. It would be revealed during the broadcast that he had "misplaced" his helmet!